For my first company dinner, the group went out to Timberwood Grill. 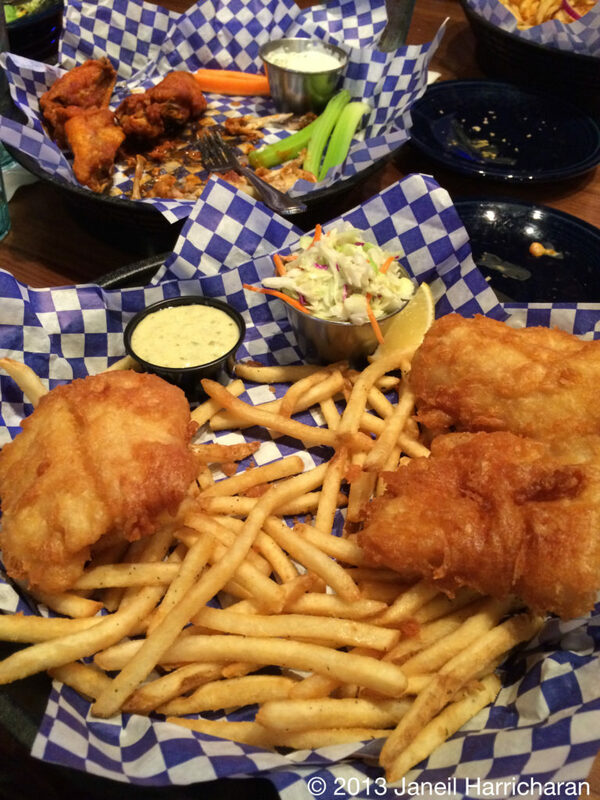 It actually was a great place to eat, and I had spiffy food of buffalo wings, along with fish and chips. All in all it was a good experience, and I would recommend. Right before snapping this picture, a coworker was announcing that “I was taking pictures of my food” in a mocking and obnoxious manner. Yeah, whats-your-name. I will take pictures of my food if I like. Just the same way you can take dozens of photos of your kids. Personal advice from me. Let people mind their own business in peace sometimes, and don’t be a loudmouth about it just because you can. Thank you.